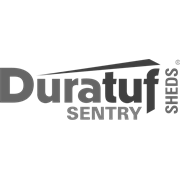 Sentry sheds have the option of a pre-cut H3 treated timber floor. This floor sits up on the 45mm H4 treated base plate keeping your gear elevated above any damp surface. 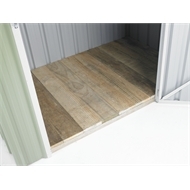 Sentry timber floors make an excellent base, are quick to install and give extra rigidity to the whole shed.